Samsung recently started upgrading its 2015 line-up and after Galaxy J2, and the On series was next in queue. The Korean giant recently launched On5 Pro and On7 Pro in India which more or less look identical to their predecessors. Just like the original On5, the pro variants also has plastic exterior and faux leather back. There is 5-inch TFT display up front which is not as vibrant as Samsung’s AMOLED panels. 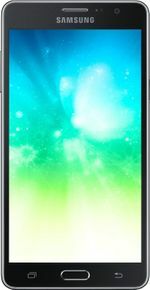 Having said that, personally I will prefer On5 Pro display over Samsung Galaxy J3 (2016) which is not as sharp as it should be. The phone is powered by a Quad Core Exynos chipset clocked at 1.3GHz coupled with T-720 Mail GPU and 2GB RAM. It comes with 16GB of on-board storage that can be expanded up 128GB via microSD card. It flaunts an 8-megpaixel primary shooter which is supported by a LED flash. There is a 5-megapixel front camera with f/2.2 aperture. Camera quality is better than what we are used to seeing in this price bracket. That pretty much sums up the optics section in Samsung Galaxy On5 Pro. The phone runs on Android Marshmallow 6.0 based TouchWiz UI which is simple and neat. Samsung has also added its SBike mode for riders. It is backed by a 2600mAh battery which can be replaced by users without paying a trip to nearest service center. In terms of connectivity options, it supports dual SIM cards, 4G VoLTE, wi-fi, 3G, and GPS as connectivity options. The Samsung Galaxy On5 Pro is currently Amazon exclusive. the best online price of Samsung Galaxy On5 Pro in India is Rs. 9,190. For more updates subscribe to Smartprix alerts. Ausam experience handling with on 5 pro. Everything is just wow. Only if battrery would be more. Good mobile, but sometime the screen freeze, touch doesn't work. Average display, sometime it freezes. Nice phone by samsung in this budget range.Good for office use good for gaming and good for Net surfing.Comes with some nice advanced features. 5-Overall 4.6 points out of 5. 1-Battery should lazt little bit longer(Still good).